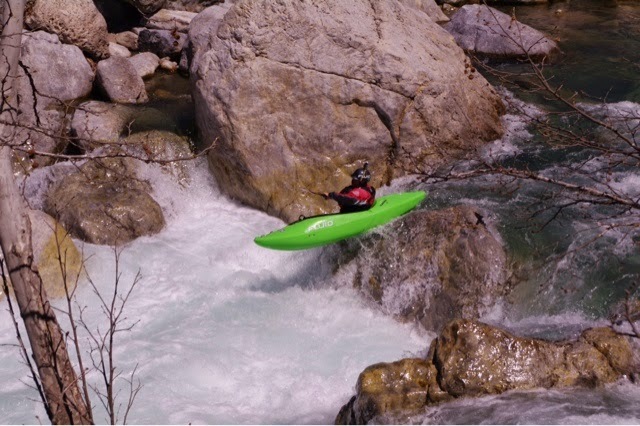 DESTINATION DIRTBAG: Paddling Turkey & Europe with SERKAN KONYA | DBP MAGAZINE ONLINE The World's Best Free Whitewater Publication. 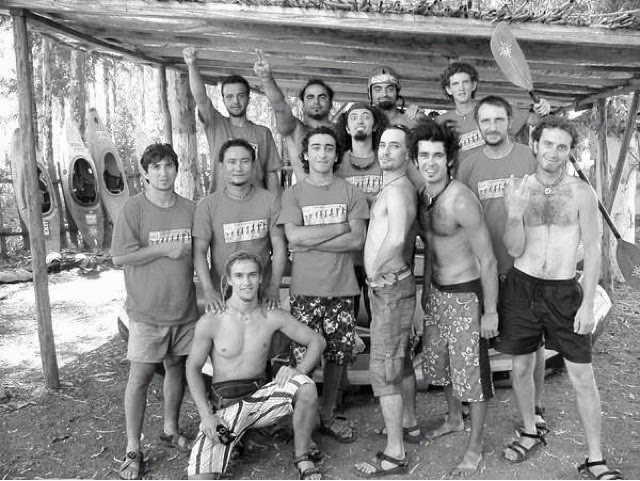 Dirt Bag Paddlers is always fully stoked to represent the world wide whitewater community, helping to shrink the distances and open our eyes to the opportunities abroad, and discover the oneness of our tribe everywhere. Regardless of where it is we call HOME, Dirtbags are AT home wherever we roam! I invited my friend Serkan Konya to take us along on a quick journey through his travels last year, as I sit at home here in the Upper Midwest waiting on the ice to melt and my season to begin again. I’ve had the opportunity to travel to Turkey, Serkan’s home, and found it to be an inviting country, rich in history and tradition as well as some beautiful countryside and EPIC RUNS! Here is his report! Well, the year is over and its time to write something about it. I was lucky enough to make a couple trips during 2014, both private and commercial. 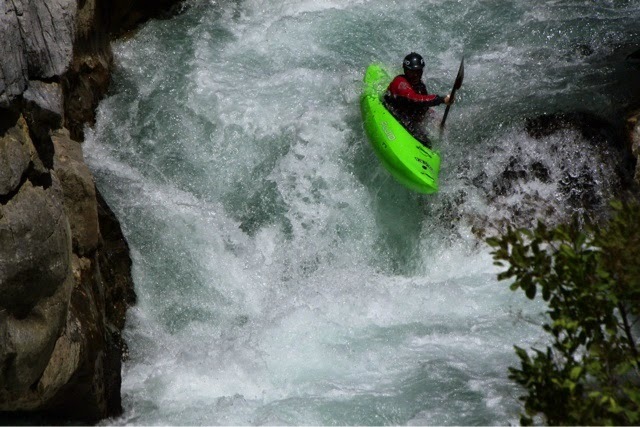 The first mission rolled out in April as Fluid Kayaks Team journeyed to the Taurus region of Turkey. After a long correspondence , the team was formed as Tobias Nietzhold, Falk Floeter, Norman Shadow and myself from Fluid Kayaks, Annika Seidl from Kajakschule Prijon and of course Bayram as our class V driver. Normally we should have high flows in April but unfortunetly snow falls weren’t enough in winter and the levels were low. However, it was still good to go and we were able to paddle some of the Taurus classics like Koprucay, Manavgat, Alara, and also explore Ibisdere Creek, north of Koprucay. I think the Ibisdere was the highlight of our adventure as it was also for me the first time I paddled it. 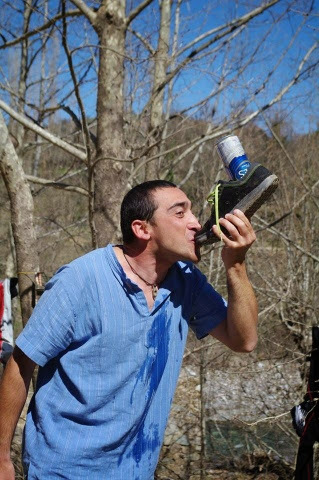 We all definitely had a great time while exploring the epic beauties of the Taurus Mountains once more. Countless fun boofs, awesome gorges and canyons, big portages and some booty beers. Mission complete? Not yet! The team had to test their extreme partying skills in the beautiful Mediterranean town Antalya. After a calm day, we arrived at the airport to take planes to different destinations. 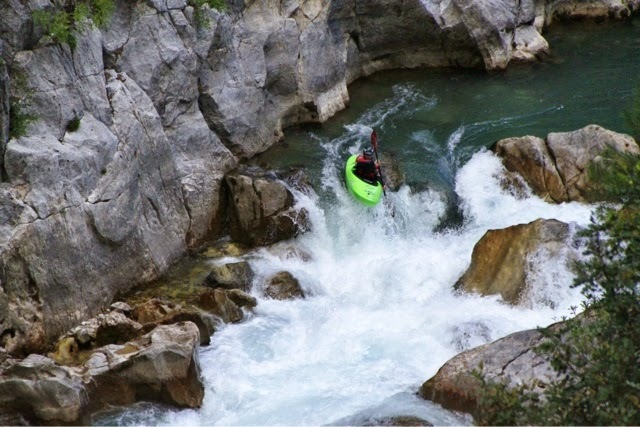 I flew to Slovenia for two weeks just to show my whitewater rescue and guiding skills, so I could get those papers… Than to Antalya again for my commercial trips in May. Yes, I organise and lead adventure kayaking trips in Turkey since 2002 and I really love it, as it is a lot of fun also for me. I headed back to Slovenia for summer work after another sucsessfull Taurus season. To be honest, my summer wasn’t the best in terms of profit, or rather NO profit at all… Anyway, it was nice to visit Pablo Rial in Campo Tures, Italy and follow his lines. 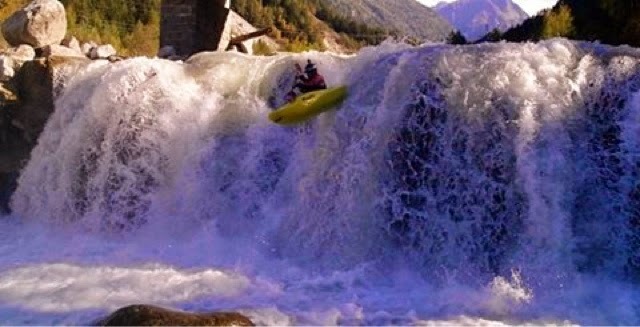 I also added some September kayak teaching in Austria and Germany. As I knew that I wasn’t at my top speed, I didn’t participate in the Adidas Sickline race in Oetztal. But still I traveled there to met Tobi and some more friends and possibly paddle in between partying and hangovers. It was also cool to met Johann Swart and kayaking legend Shane Raw from Fluid’s home. I happily finish the year on the Eiskanal Olympic slalom course in Augsburg, Germany. Its just a perfect place to train any kind of paddling skills and its the home run and training spot for both old and young world champions from many different disciplines. To my sponsors; Fluid Kayaks, Astral, Immersion Research, Sea Specs, Seals Skirts and Robson Paddle. 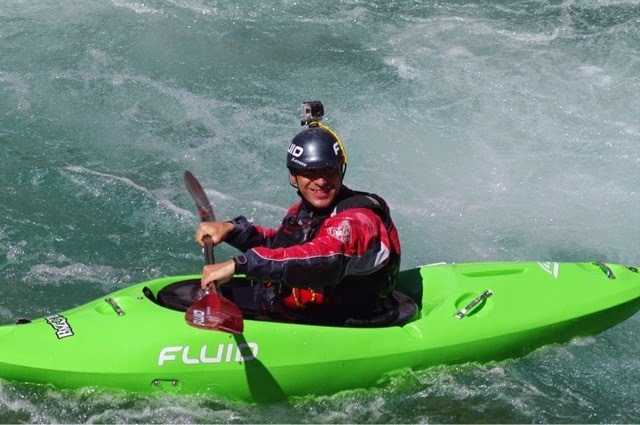 Thank you for supporting my kayak adventures with your top quality products! I wish you all the best in 2015! See you in an eddy. In Alara narrows (Keiserklamm). Captured by Anton Mayr. Good artible about unknown place. I finally planning new travel (to Belgium this time), so your material will be useful. Cheers.